All clubs applying to play in ESSDA Winter Football 2019 will have to be confirmed members of SYFA for 2019 Season before they can play..
All Clubs should ensure they have the requisite Officials with Coaching and First Aid Certificates as a hold up in their SYFA Membership will prevent them playing Winter Football. Space will be limited at each venue so I propose to limit applications to 4 teams per age group at any venue. Of course if places are not taken, additional applications will be welcome. 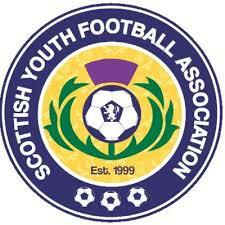 Due to lack of support, there will not be an ESSDA event in Dalkeith/Mayfield this year. The 2011 age group will play Football 4s and older age groups will play 5 a side. Games will last 15 minutes including a 2 minute transition period. Coordinators will sound a claxon at the start and end of each game. Teams should be aware of where their next game will be to save time during transitions. Teams should start as soon as they are ready to play. Please advise parents/spectators beforehand that they should step back and allow players to move freely between pitches. World of Football is astro grass and players should wear trainers or boots with moulded studs. Riccarton Campus is indoor astro and players should wear trainers. All players should wear shin pads. Only players and coaches can enter the playing areas. Please find attached the updated rules.